We are a leading Manufacturer of hoist lifts from Ahmedabad, India. We are engaged in manufacturing and wholesaling a wide range of Hoist Lifts that conforms to industry standards. 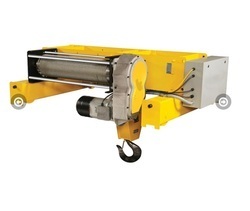 These hoists are high in quality and are appreciated by clients for rugged construction and easy installation. Our hoists are anti-corrosive and consume less power, due to which their demand in the market has considerably increased.